Yesterday was our April meeting and we had a fantastic workshop with Susan Moor looking at the script she is so well known for. 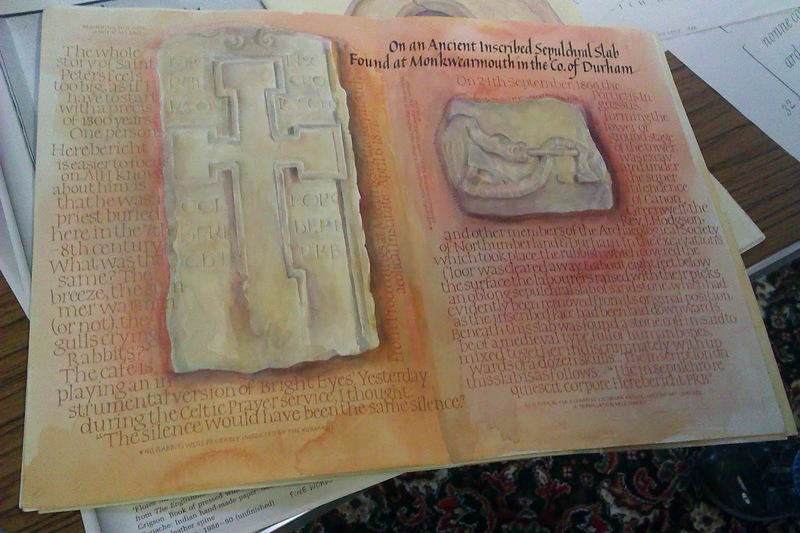 Based in the northeast, Susan was artist in residence at St Peters anglo saxon church in Sunderland and has produced an amazing volume of work which she is binding together at the moment. 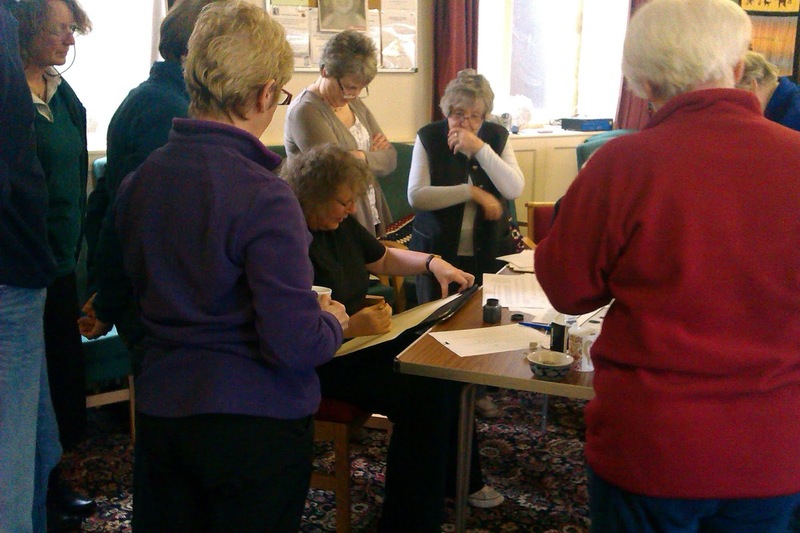 As with our last tutor workshop we had extra visitors, Janice, Helen & Lyn, plus a previous member, Heather. 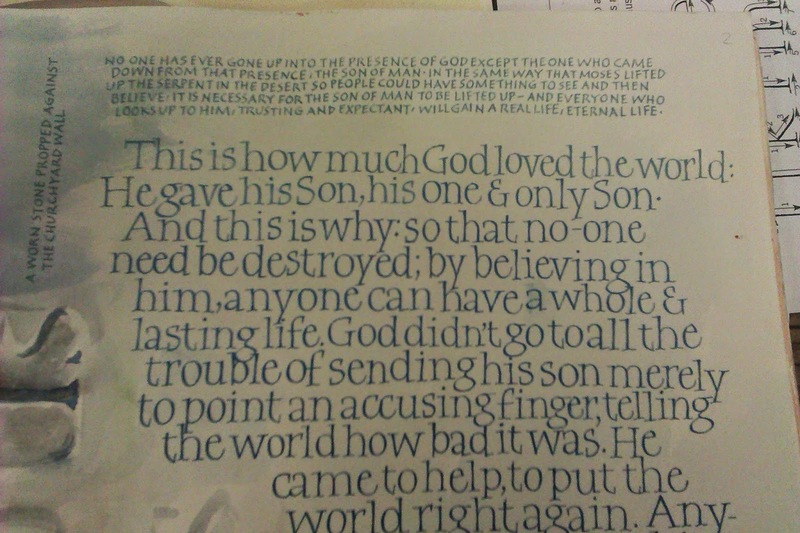 The script uses a pointed nib and pressure release to get the subtle thick/thin lines. We spent the first part of the session just focusing on getting the right letter shapes before adding the pressure/release to our strokes. 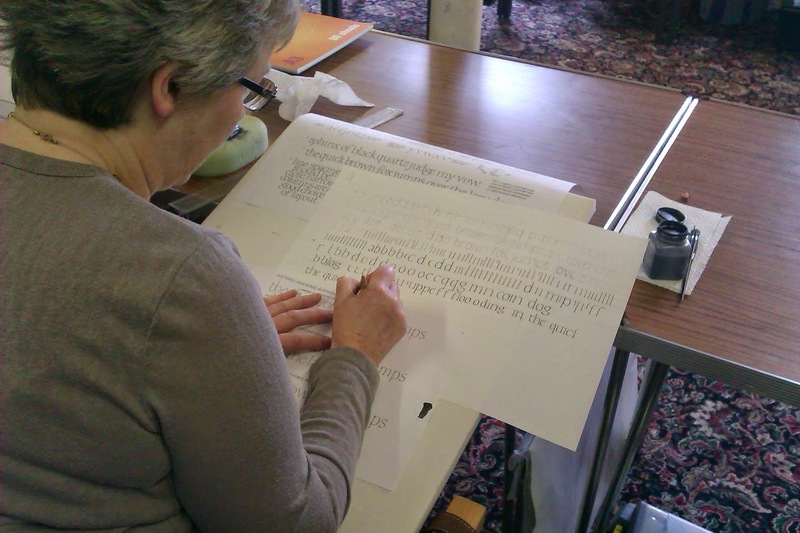 It's a very delicate script and it takes a lot of practice to get the balance and flow right - although we only had one day with Susan we each managed a rough layout of some text to show at the end. I can see a few of our group will be practising this script again in our next meeting. Below are some photos from the day, and a couple of spreads that Susan has done for St Peters Church.